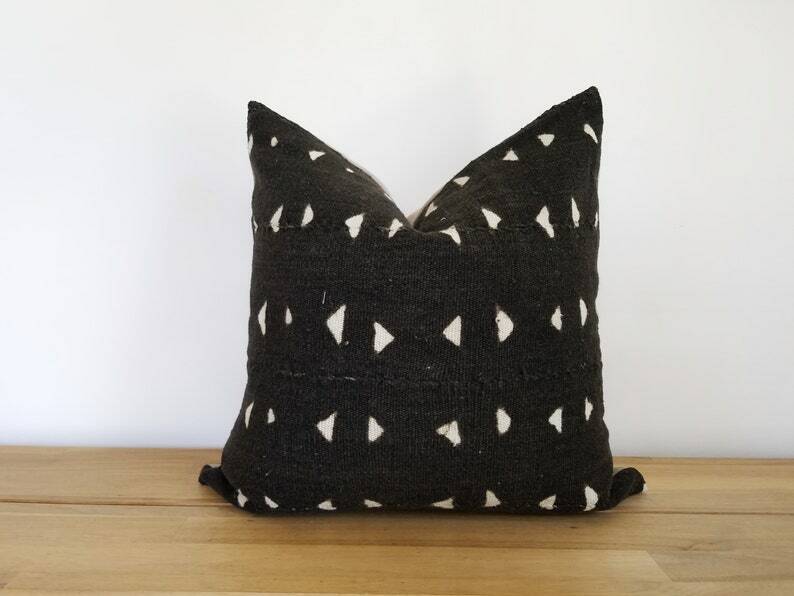 These stunning black with cream triangle pillow covers are made using mudcloth imported from Mali, West Africa. Handwoven strips of cloth are sewn together, then the fabric is softened and hand-dyed with botanicals. The variations and imperfections in weave, dye, stitch, and hand-painted designs are a wabi-sabi characteristic that's intrinsic to handcrafted textiles and only serve to enhance its uniqueness and natural beauty. 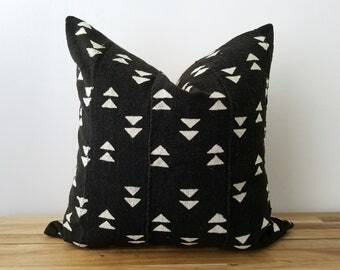 I'm happy to create and bring to your home, these beautiful one-of-a-kind pillows! 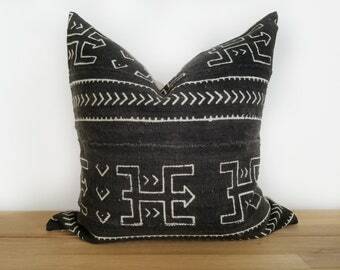 The front of the cover is the pre-washed, 100% cotton mudcloth; pattern placement may vary. The reverse side is a natural unbleached 100% linen. The cover is double-stitched, seams overlocked and features an invisible zipper closure. See size selection in the drop-down menu. 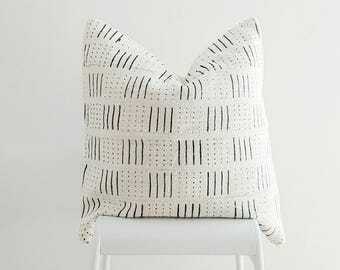 Actual pillow cover may be slightly smaller (approximately 0 to .5 inch). 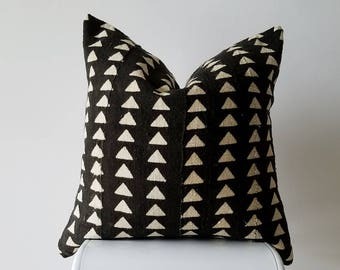 ** Made-to-order, yours will be similar to those shown, however, size of pillow and pattern placement will vary, so your pillow may look very different as this is a large pattern design. Another nice pillow that compliments with the others i purchased. Simple yet bold!